Guitarist John Scofield records Still Warm (Gramavision) with Don Grolnick on keyboards, Darryl Jones on bass and Omar Hakim on drums. This album is produced by Steve Swallow. Vibraphonist Bobby Hutcherson, pianist Kenny Barron, bassist Buster Williams, and drummer Al Foster record In the Vanguard live at the Village Vanguard in December. Trumpeter Randy Brecker records In the Idiom (Denon) with Joe Henderson on tenor, Ron Carter on bass, David Kikoski on piano, and Al Foster on drums. Young British saxophonist Courtney Pine records Journey to the Urge Within (Antilles). The French government creates the Orchestre National de Jazz (ONJ). 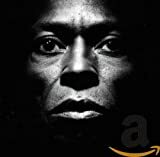 Miles Davis records Tutu (Warner Brothers). Miles Davis is granted a honorary doctorate by the New England Conservatory.